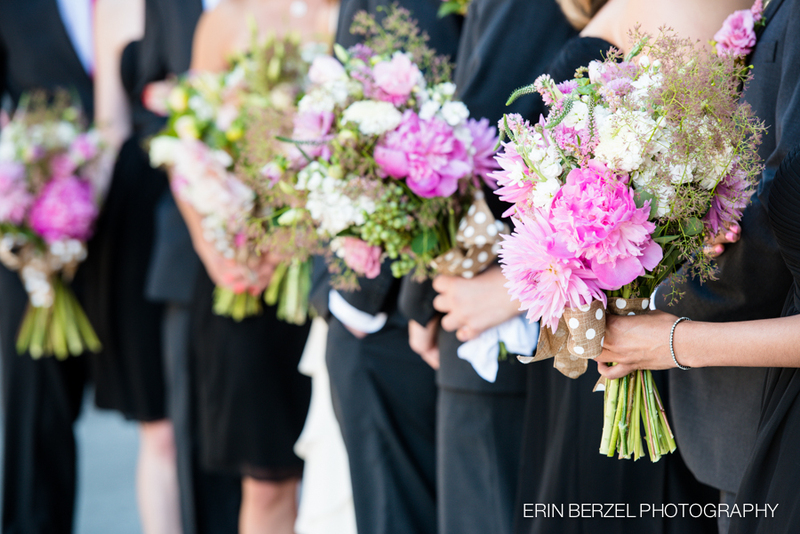 When Cam and Adam asked me to coordinate their wedding, I could not have been more excited! 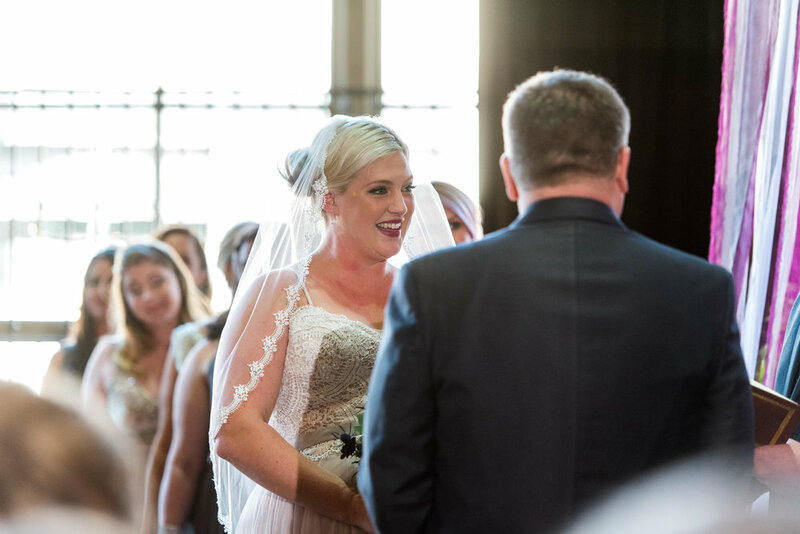 There is nothing like having the privilege to be part of a fellow Bridal Bliss team member's special day. Cam and Adam were a dream to work with, and they certainly know how to throw a fabulous party! 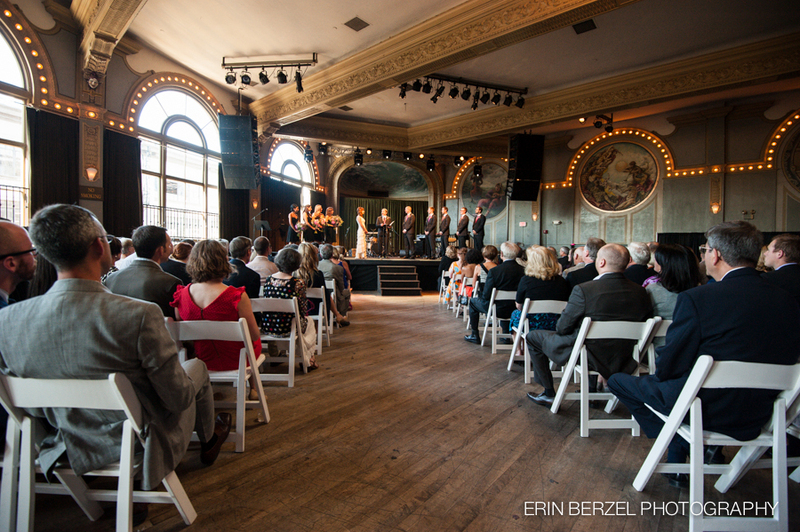 Their October wedding at the Crystal Ballroom was the perfect fit for a such a fun couple! Cam and bridal party got their hair and makeup done by Cam's close friends at Embassy Suites and they headed over to the Crystal Ballroom to meet Adam and his groomsmen. Cam and Adam shared their first look on the balcony of the ballroom, just under the marquee which announced their wedding. 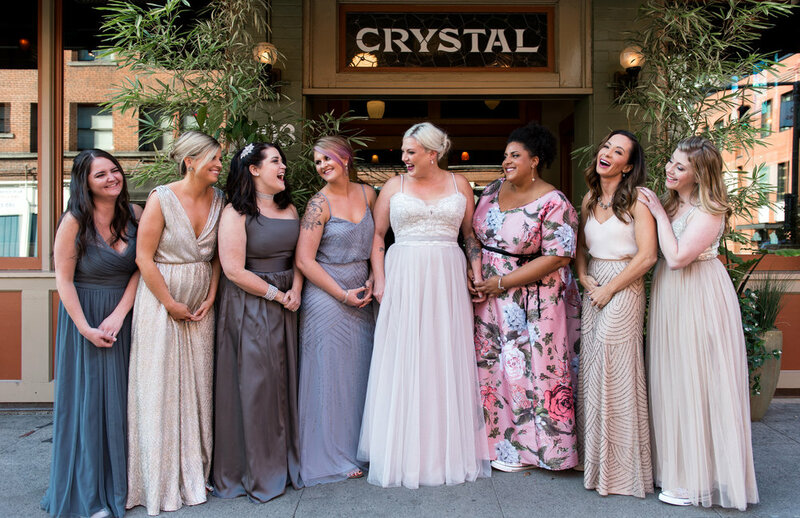 After an intimate first look, captured by Powers Photography, the bridal party had some fun in downtown Portland while taking photos. When it was ceremony time, everyone gathered in the ballroom to see Cam and Adam say their I Do's. 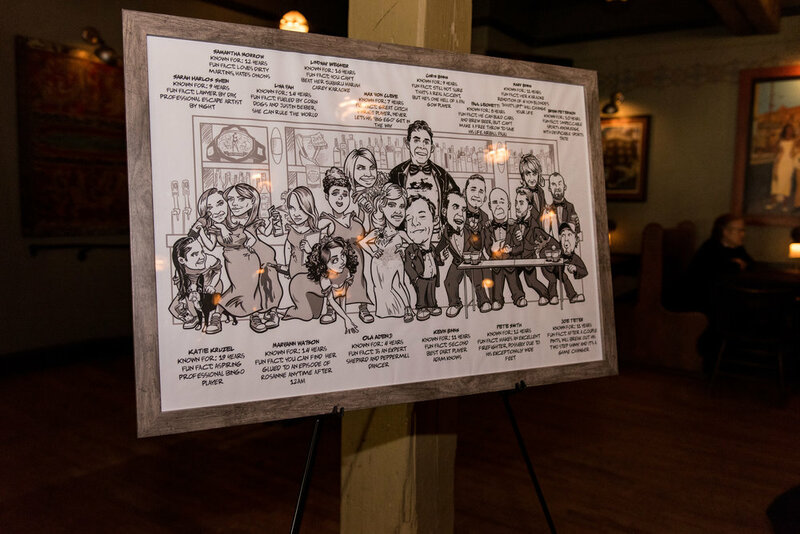 In place of a welcome sign was a custom caricature art piece, introducing wedding guests to the bridal party's fun personalities. After the ceremony, everyone headed downstairs to Lola's room to be serenaded by Joanna Lee﻿ during cocktail hour. 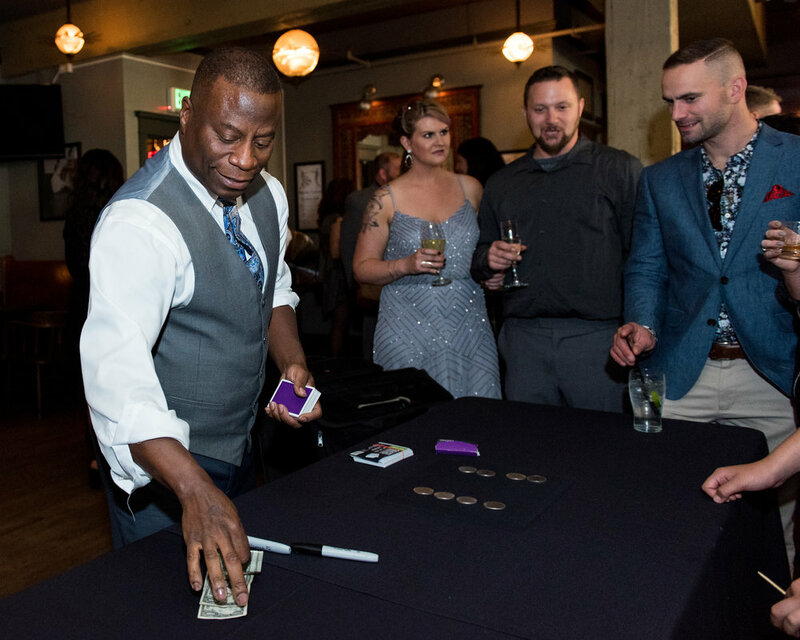 Guests had plenty to keep them entertained between the magician Craig Martin and some unique games for those who were up for some friendly competition. Come dinner time, the ballroom was transformed by Carrie Costa's florals. The couple and bridal party made their entrance into the ballroom through a tunnel of guests waiving gold pompoms! Dinner was followed by heartfelt toasts, where one of Cam's bridesmaids surprised the couple with a video montage. After toasts, it was time to get the party started with Chad Dowling and The Coastline! For those who needed a dancing break, White Tower Photo Booth was there with a surplus of Portland Timber's props. With an after party at Shift Drinks, everyone was invited to party with night away with the happy couple! Cam and Adam, you are an amazing couple, and I wish you a lifetime of fun, laughter and love! 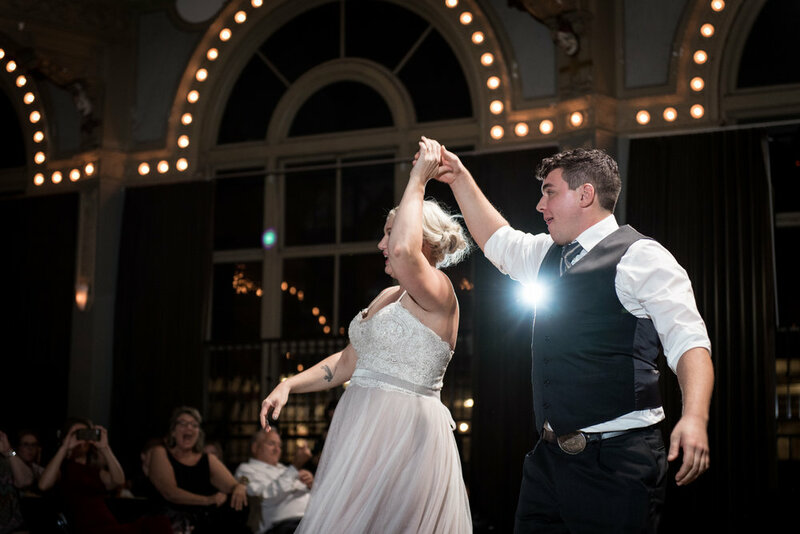 Mike and Molly‘s summer solstice wedding at the CRYSTAL BALLROOM was the perfect blend of elegance, glamour, and whimsical fun! With Whiskey Manhattans and refreshing Moscow Mules to kick off their cocktail hour, guests were soon dancing the night away to the jazzy melodies of THE ESSENTIALS BAND. Great music was the theme of the night, with each table named for a famous musician. For ceremony music a friend of the bride and groom played cello, accompanied by a violinist, and composed a special arrangement of “Somewhere Over The Rainbow” for Mike and Molly‘s recessional. The evening ended on a sweet note, with a variety of pies in lieu of wedding cake, and platters of VOODOO DOUGHNUTS as favors for the guests! 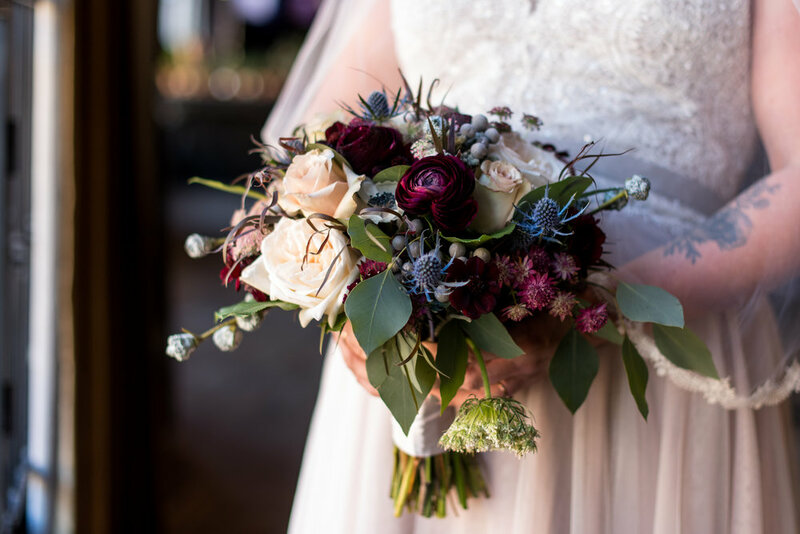 As they were leaving, guests were presented with bouquets of the gorgeous reception flowers designed by a friend of the bride’s mother, gathered from the table arrangements set in eclectic vintage glass bottles. 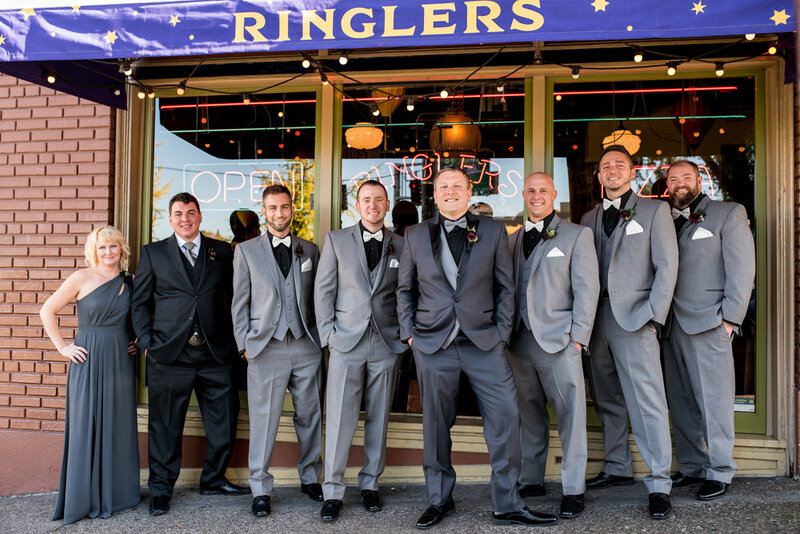 Surrounded with great friends and family, gathered from all across the country, Mike and Molly kept the fun going with a casual afterparty at Ringlers. What a night! Congratulations to Mike and Molly!